Fixing these godawful, sketched in trees so I don’t have to look at them anymore. Next is that travesty that is the grass. Sat down with @zecmo yesterday to start fleshing out the first Ghost enitity in #Sleep. Right now it follows you if you get too close and stops if you get to far away. Next is working on its patrol and getting it to stop moving when you are facing it like #Boo from SMB. Mock up of the Darkworld Playground interior from a while back. This allows for the player to train and tryout new abilities in a confined space as the game progresses. 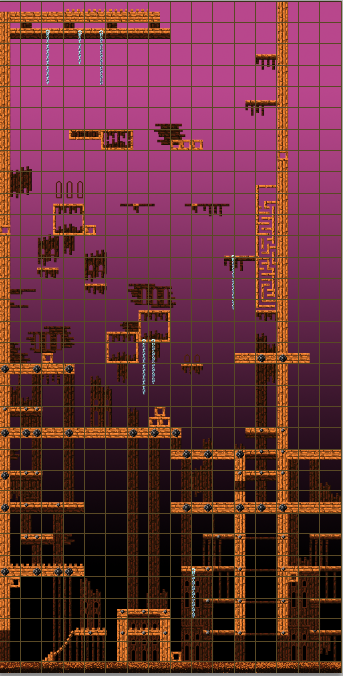 Functional but still using my stub-in tileset for visuals.